The Association of Junior Leagues International, Inc. (AJLI) and its member Leagues have a long history of commitment to improving the health and wellness of children. It was through this lens that, in the early 2000s, The Junior League took notice of the increasing prevalence and urgency of the childhood obesity epidemic in their communities. 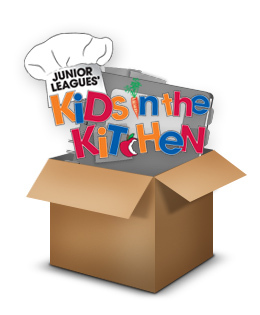 Recognizing that obesity can impact a child’s mental and physical health, with implications for their education, social lives, and ultimate success, The Junior Leagues’ Kids in the Kitchen program was born. The Junior League of Greater Fort Lauderdale took initaitve and created the award-winning program, Healthfully Ever After ™. The goal of the Healthfully Ever After program is to educate children on positive nutrition choices and healthy lifestyles by teaching them to make healthy food choices and teaching them about where food comes from. Children are encouraged to share their new knowledge with their family members to encourage better food choices for their entire family. The program has now become part of all second grade curriculums in the Broward County Public Schools (BCPS). The Junior League of Greater Fort Lauderdale’s Healthfully Ever After ™ program addresses the issue of childhood obesity and poor nutrition through education on positive nutrition choices and healthy lifestyles. Additionally, the Junior League of Greater Fort Lauderdale provides hands on opportunities for students to make their own healthy granola snacks through our Grab and Go Granola program and illustrate for them that good foods are easy to make and taste good too. This program has received numerous accolades including being named the BCPS Partner of the Year in 2009. In 2011 this program was awarded the United States Department of Agriculture’s 2011 Best Practice Award for promoting a Healthy School Environment. To learn more about it, visit the JL Kids in the Kitchen website. TODAY, our members spend an afternoon each month with kids at Kids in Distress (KID) of Broward County, helping prepare nutritious snacks and providing nutritional education. The cooking activity is normally followed by and outdoor fitness activity for the kids.